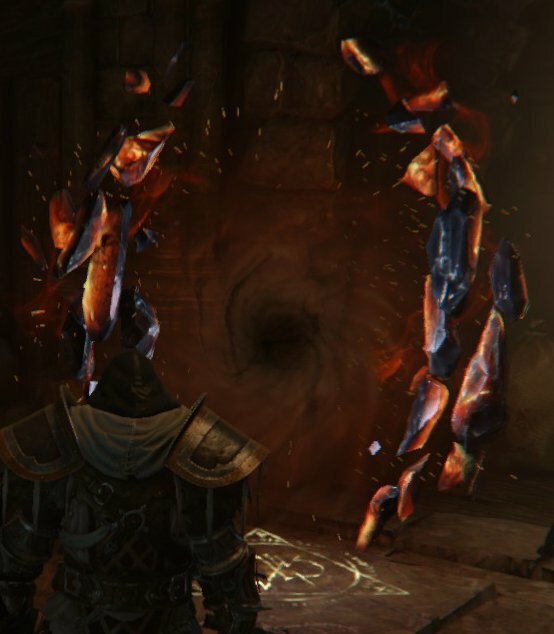 Dimension Portals are a feature in Lords of the Fallen to reward the player for exploration once challenging enemies are downed. There are three general types of portals: Treasure Chamber (just free loot), Infinite Void (mysterious, dark place tough to navigate with various ways to get loot), and Proving Grounds (fighting arena with waves of enemies). Almost all open after killing their corresponding boss. Please see the Maps page for easy reference on their location. Qamar, Energy Shard, Fire Resistance Shard, Small Sealed Rune. The name of the staff is "Qamar" not "Quamar"